Zhong-Yin Zhang graduated from Nankai University, China, with a B.S. in Chemistry in 1984. He obtained a Ph.D. in Chemistry from Purdue University in 1990. After a brief stint at Upjohn, he completed his postdoctoral training at the University of Michigan. Dr. Zhang established his own laboratory in 1994 at Albert Einstein College of Medicine, where he rose to the rank of Professor in 2002. From 2005-2015, Dr. Zhang was Robert A. Harris Professor and Chairman of the Department of Biochemistry and Molecular Biology at Indiana University School of Medicine. In 2016, Dr. Zhang moved back to Purdue as Distinguished Professor of Medicinal Chemistry, Robert C. and Charlotte P. Anderson Chair in Pharmacology, and Head of the Department of Medicinal Chemistry and Molecular Pharmacology. He is also program leader of the medicinal chemistry program in Purdue Center for Cancer Research. He also serves as the Director for the Chemical Genomics Facility in Purdue Institute for Drug Discovery. Dr. Zhang’s research spans the disciplines of chemistry and biology with an emphasis on the structure and function of protein tyrosine phosphatases (PTPs), and development of PTP inhibitors as novel therapeutics. His group performed experiments that defined the catalytic mechanism, rate-limiting step, and transition state of the PTP-catalyzed reaction; probed the molecular basis for PTP substrate recognition; and elucidated biochemical mechanisms for a number of PTP-mediated cellular signaling pathways. In addition, he has pioneered a novel paradigm for the acquisition of potent and selective PTP inhibitors by targeting both the PTP active site and unique pockets in the vicinity of the active site. His group developed a number of nonhydrolyzable pTyr pharmacophores that are sufficiently polar to bind the PTP active site, yet remain capable of efficiently crossing cell membranes, offering PTP inhibitors with both high potency and excellent in vivo efficacy in animal models of oncology, diabetes/obesity, autoimmunity, and tuberculosis. These efforts have produced numerous first-in-class PTP inhibitors that have become widely used to interrogate PTP function in normal physiology and in disease states and have also inspired drug discovery programs. He has authored more than 245 publications, holds 17 patents, consults for several pharmaceutical companies, and he is an internationally recognized authority in the field of PTPs. Despite the high cost and low probability of success associated with drug discovery and development, we are at a time that new drugs with improved profiles and new mechanisms of action are still emerging. As a result of better understanding fundamental biology, rigorous academic and industrial research, and fruitful collaborations, scientists are discovering break-through therapies for hard-to-treat diseases and greatly benefitting patients. In this forum, case studies on early discovery research and clinical development of compounds that are on or at the brink of being brought to the market will be presented. Progress in the exciting field of oncology (e.g., CAR-T cells, IDO and BCL-2 inhibitors), which is at the tipping point of producing revolutionary therapies, will also be discussed. Dr. Andrew Souers, Senior Research Fellow & Project Director, AbbVie, Inc.
Panel Discussion: What Skills and Experience Are Pharma Looking For? Dr. Xueqing Wang, Sr. Group Leader, Discovery Chemistry and Technology, AbbVie, Inc.
A poster session organized by YaoYuan will be held from 11:30 to 1 pm during the conference on April 18th. All student posters have been reviewed by the organization committee and 3 top posters will be awarded in the afternoon session. Following are the abstracts of 37 posters in random order. Thanks to all the participants! The deposition of aggregates of human islet amyloid peptide (hIAPP) has been correlated with the death of insulin-producing beta (ß) cells in type II diabetes mellitus (DM2). The actual molecular mechanism of cell death remains largely unknown; however, it has been postulated that the process of aggregation and amyloid fibril growth from monomeric hIAPP is closely involved. A possible cause of cellular toxicity may be through the disruption of structural integrity of the cell membrane by IAPP. Natural products have commonly been studied as small molecule modulators of amyloid aggregation. They have demonstrated potential therapeutic properties through the reduction of amyloid aggregate formation and reduction of cell toxicity, as well as protection of the lipid bilayer. Herein, a new water-soluble curcumin derivative, CurPD, has been developed and used to investigate the mitigation of hIAPP aggregation in the absence and presence of lipid membranes. Furthermore, a mechanism for membrane stability by CurPD in the presence of hIAPP has also been studied. This new scaffold provides insight into structural motifs that may be important for arresting amyloid aggregation, stabilizing small peptide assemblies, and protecting the membrane from degradation associated with hIAPP fibrillation. High-Throughput Screening of Dihydroorotase from Staphylococcus aureus. Background: Staphylococcus aureus can cause life-threatening infections of the skin, bone, lung, and heart and is widely known for its resistant strains, which the bacteria becoming rapidly resistant to the most potent antibiotics currently available. Dihydroorotase (DHOase) is the enzyme responsible for the cyclization of carbamoyl aspartate to dihydroorotate as part of the de novo pyrimidine biosynthesis pathway. This enzyme is critical to the growth of S. aureus, suggesting it to be a potential antimicrobial drug target. Currently, no inhibitors for gram-positive bacterial DHOase have been identified, and inhibitors of the gram-negative counterpart are inactive against the enzyme from S. aureus, most likely due to the low DHOase sequence identity (~20%) between the two classes. Methods: Prescreen optimization for high-throughput screenings (HTS) have already been determined by UV spectroscopy at 230 nm, which includes determination of appropriate concentrations of substrate and enzyme, and enzyme stability. Primary HTS of the Chembridge fragment library against DHOase was done by detection of an ureido moiety using an enzymatic colorimetric assay. Surface Plasmon Resonance (SPR) was used as a secondary orthogonal binding assay to eliminate false positives and determine the binding affinity constant (KD) of the initial hits. Results: The Chembridge fragment library (3,000 fragments) was screened against DHOase using the colorimetric enzymatic assay, resulting in 128 total hits for further validation. SPR was used to eliminate false positives, resulting in 33 fragments selected for KD determination. Fragments that showed a non-specific binding pattern were removed, resulting in nine potential inhibitors. The hit fragments and their analogs will be used to for structure-activity relationship (SAR) analysis, mode of inhibition, reversibility, and minimum inhibitory concentrations (MICs), followed by co-crystallization. Conclusions: We performed HTS with the Chembridge fragment library against dihydroorotase from S. aureus. After further hit validation with SPR, nine fragments were selected as potential inhibitors of bacterial pyrimidine synthesis. CXCL12 (SDF-1a) is a constitutively expressed chemokine that is implicated in a variety of inflammatory diseases and every step of cancer progression. The cognate receptor for CXCL12 is CXCR4, a seven transmembrane G-protein-coupled receptor that is able to signal for intracellular calcium flux, ß-arrestin recruitment and cell chemotaxis. Directing inflammatory cells to areas of injury is a primary function of chemokine signaling. Chemokines, like CXCL12, bind to their cognate receptor in a two-step, two site model; where the receptor N-terminus binds the chemokine (site 1) which allows the chemokine N-terminus to insert into the transmembrane binding pocket (site 2) and activate the receptor. We wanted to test the hypothesis that a small molecule can bind CXCL12 with strong affinity and high specificity to disrupt CXCR4 activation. Our initial work produced a small molecule ligand with low micromolar affinity that inhibited CXCL12 dependent calcium flux and chemotaxis. In efforts to build a more drug-like molecule we tested the possibility of finding small molecule ligands that targeted adjacent regions of the CXCL12:CXCR4 surface. To begin, the solution structure of CXCL12 in complex with the CXCR4 N-terminus was screened in silico agonist a ZINC database library to find likely CXCL12 ligands. Using 1H-15N HMQC NMR experiments, we screened ~30 small molecules targeted to the “Y12 pocket,” a pocket centered at the ß-sheet of CXCL12. While the majority of molecules did not show measurable binding (Kd > 1 mM), two molecules bound CXCL12 with ~200 µM affinity at the Y12 pocket and shared a similar chemical structure. In addition, one molecule has the ability to disrupt the binding of a heparin-fluorescein molecule at the Y12 pocket. These results show the utility of fragment screening against soluble, globular proteins like chemokines for developing into therapeutic drugs. Increasing interest in modeling of complex macromolecular systems in the recent years facilitated the development of numerous Coarse-Graining (CG) techniques. However, many of the CG models are constructed assuming a certain geometry of the system or the parts of the system, which limits the resolution of coarse-graining, and the range of applications of the CG model itself. The ultra-coarse-graining (UCG) technique make it possible to construct models at any suitable resolution, while accounting for any kind of configurational and conformational changes. Here, we discuss the UCG methodology and its practical implementation. We pay particular attention to the mechanism of the state transitions between different conformations, as this has not been discussed before. Using a simple example of 1,2-dichloroethane, we demonstrate the ability of the UCG model to reproduce the multi-state behavior of the all-atom liquid; even when each molecule is modeled with only one bead. The described methodology can be applied to virtually any macromolecular system to construct a functional CG model at any desirable resolution. The transcription factor nuclear factor erythroid 2-related factor 2 (Nrf2) regulates the expression of detoxification enzymes involved in protecting cells from oxidative and electrophilic stress. It is regulated by Kelch-like ECH-associated protein 1 (Keap1), which binds both Nrf2 and the E3 ubiquitin ligase Cul3. In this arrangement, Cul3 polyubiquitinates Nrf2, leading to proteasomal degradation of Nrf2. When the body is stressed by electrophiles or oxidants, Nrf2 is released, translocates to the nucleus, and binds to antioxidant response elements (AREs) in gene promoter regions, initiating expression of detoxification enzymes. This Keap1-Nrf2 pathway has become an attractive target for the prevention and treatment of multiple oxidative-stress related diseases and conditions, with FDA-approved drugs like Tecfidera® (dimethyl fumarate) in use as an Nrf2 activator. Most research into the pathway has uncovered reactive electrophiles that covalently modify reactive cysteines leading to release of Nrf2. Because we are interested in the pharmacological outcome of selectively activating Nrf2, we have investigated an alternative pathway of activation—directly inhibiting the Nrf2/Keap1 interaction with a small molecule—and we are preparing a proteomic tool compound that will allow us to interrogate the selectivity of these non-electrophilic compounds. Recently, reports in the literature found such a non-electrophilic activator of Nrf2 based on a 1,4-bis-sulfonamido naphthalene parent structure. One compound in this series was found to have extremely high potency for the binding pocket, IC50 = 23 nM. Using this molecule as a starting point, we have carried out a structure-activity relationship to allow us to determine allowable modifications for preparing photoaffinity probes, which will ultimately allow us to address the selectivity of non-electrophilic Nrf2 activators. This research project studies gene expression regulation through reversible mRNA methylation. Specifically, a potential nuclear N6-methyladenosine (m6A) RNA reader protein, hnRNP A2B1, is investigated, along with its involvement in post-transcriptional gene expression regulation through dynamic RNA methylation. m6A is the most abundant post-transcriptional modification in the mRNA and plays critical regulatory roles in RNA metabolism. The first example of reversible RNA methylation was reported through the discovery of m6A writers and erasers; and the recent study of cytosolic YTHDF2 marked the first example of m6A readers, i.e. effector proteins that recognize and regulate m6A-containing RNA. However, as most of the early stage RNA processing events occur in the nuclei, the discovery of a nuclear m6A reader may elucidate the mechanism of m6A-related post-transcriptional gene expression regulation, which impacts cell differentiation and development. A2B1 emerges in my study as a potential nuclear m6A reader protein and functions as a navigating m6A reader that mediates m6A-dependent mRNA retention and transport by recruiting different partners. The subcellular localization-dependent and cell cycle-dependent functions of A2B1 are demonstrated. The clarification of the roles of A2B1 will not only fill in the blank of nuclear m6A readers and largely uncharted functions of m6A in eukaryotic mRNA, but also open up new research avenues that impact the regulation of mRNA in various processes including carcinogenesis and neurodegeneration. Simultaneous inhibition of multiple kinases has been suggested to provide synergistic effects on inhibition of tumor growth and tumor resistance. In a recent study, researchers have reported that resistance against approved kinase inhibitors targeting epidermal growth factor receptor kinase (EGFR) could be overcome if given in combination with aurora kinase inhibitors. Additionally, the mitotic kinase, aurora kinase A (AURKA) provides an alternative target that could also be explored to develop novel antimitotic agents that act by a different mechanism compared to traditional antimitotic agents such as vincristine and paclitaxel. Thus, it is of interest to determine novel compounds with dual EGFR and AURKA inhibition. A small series of compounds demonstrating promising interactions for EGFR and AURKA in silico have been developed. The synthesis, enzymatic inhibition for EGFR and AURKA and cellular inhibition will be presented. Laryngopharyngeal Reflux Disease (LPRD) is an extension of gastroesophageal reflux disease (GERD) where gastric contents are refluxed into extraesophageal tissues. Current acid suppression treatment with proton pump inhibitors (PPIs) has proven ineffective because unlike GERD, pepsin is the problem not stomach acid. When pepsin is refluxed into these tissues it digests healthy protein, damaging cells, leading to mutations and causing subsequent cancers. The objective of this research is to identify new pepsin inhibitors to completely and irreversibly inhibit pepsin’s activity when present in extraesophageal tissues. In order to find inhibitors, three different fluorescence assays were developed using labeled pepstatin, casein, and peptide probes to indicate varying levels of inhibition of the pepsin enzyme. Once optimized, these assays were used to screen the Library of Pharmacologically Active Compounds (LOPAC) for possible pepsin inhibitors. Compounds were identified as hits if they showed inhibition activity of ± 3 standard deviations away from the mean activity of all compounds. The assays proved to be sensitive and specific, turning up only a few hit compounds. The results of this research were encouraging and we look forward to moving these target compounds to cell based assays to test their viability as drug candidates. As a positive regulator of the IGF growth pathway, the Nedd4-1 HECT E3 ubiquitin ligase has recently emerged as a tractable therapeutic target for Ewing’s sarcoma (childhood bone cancer) and viral infection (1). However, efforts to discover selective Nedd4-1 probes have been severely hampered by the complexity of the ubiquitin enzyme cascade: ubiquitin reacts with two enzymes (E1 and E2) before forming a C-terminal thioester with the catalytic cysteine of Nedd4-1 (Nedd4-1~Ub), which then modifies a substrate protein. Currently available assays to discover Nedd4-1 inhibitors require 5-10 components: ATP, Ub, E1, E2, and Nedd4-1 in addition to detection reagents. Due to off-target interactions and large material costs, the high-throughput screening for Nedd4-1 inhibitors is a risky challenge. Recently, we discovered that chemical activation of the ubiquitin C-terminus as a thioester (Ub-thioester) can bypass the need for E1, E2, and ATP (2). Ub-thioester directly charges the Nedd4-1 catalytic cysteine to form Nedd4-1~Ub, which produces linkage-specific polyubiquitin chains as in the native cascade. The resulting two-component reaction fundamentally addresses the aforementioned challenges. Here, we introduce a novel mechanism-based probe Ub-SFlu, a fluorescent conjugate between ubiquitin and fluorescein thiol through a C-terminal thioester. When Ub-SFlu undergoes transthiolation by the HECT catalytic cysteine to form HECT~Ub, fluorescein is liberated. Using real-time fluorescence polarization, we can quantitatively assess HECT E3 activity. By circumventing upstream components of the ubiquitination cascade, we provide an assay that isolates the catalysis mediated by HECT E3 ubiquitin ligases. Here, we provide an unprecedented quantitative analysis of specific residue contributions to the catalytic transthiolation and ligation reactions mediated by HECT E3s. Following this success, we adapted this two-component reaction (Ub-SFlu and Nedd4-1) for high-throughput screening against Nedd4-1. Screening over 3,000 molecules, we observe Z’ > 0.70 and a hit rate at 2-7%. The hits are reproducible, and we are currently analyzing the most medicinally amenable compounds through secondary validation. Fallopian tube epithelium (FTE) is one of the proposed progenitor populations for high-grade serous cancer (HGSC). Pax2 is highly expressed in normal FTE and is absent in areas of secretory cell outgrowth (SCOUTs), p53 signatures and HGSC. Pax2 is a transcription factor and an epigenetic modifier. This study aims to identify whether deregulation of Pax2 expression contributes to tumor initiation and whether its re-expression in cancer cells will induce cell death. To determine whether frequently altered signaling pathways in HGSC regulate Pax2 protein and transcript levels, western blot and qPCR analysis were performed on a library of MOE cell lines expressing commonly altered pathways observed in HGSC. MOE cells with p53 mutation and knockdown of PTEN, alone or in combination, significantly downregulated Pax2 at both the transcript and protein level. MOE cells stably expressing both, Pax2 knockdown and p53 mutation, demonstrated increased proliferation, migration, and colony formation compared to MOE cells stably transfected with empty vector control. OVCAR3, OVCAR4 and Kuramochi ovarian cancer cells were transiently transfected with Pax2 to investigate whether re-expressing Pax2 was able to slow cancer progression characteristics. Re-expressing Pax2 in OVCAR4 cells statistically reduced proliferation and migration of cancer cells. p53 mutation in combination with knockdown of PTEN influenced the downregulation of Pax2 in MOE cells. MOE cells with p53 mutation and Pax2 silencing demonstrated increased proliferation, migration and anchorage-independent growth. Pax2 re-expression in HGSC cells reduced proliferation and migration of HGSC cells. This project is designed to address the phenomena of developing an in-vitro model system to critically evaluate the evolvement and stepwise progression of serous cancer precursors in the FTE. Micellar solubilization is an attractive strategy for physical and chemical remediation of environmental organic pollutants including polychlorinated biphenyls (PCB’s). NMR spectroscopy is best suited for investigating these systems, as surfactants and aromatics resonate at different regions of the spectrum and can be independently investigated. In addition, the differences in spectral characteristics of aromatics can be favorably utilized for simultaneous analysis of mixtures of pollutants in presence of surfactants. Polychlorinated biphenyls (PCBs) are synthetic aromatic compounds with two benzene rings connected at the C-1 carbon and can contain up to five chlorine substituents in the ortho, meta, or para positions. This highly oxidized structure along with water insolubility makes them resistant to biological and chemical degradation thus accumulating in soils and sludge. The continued presence of PCBs in the environment is unsafe and they have been recognized as harmful and shown to cause cancer and other serious health effects in animals. In this work, we used representative cationic, anionic and neutral surfactants and biphenyl analogs as model systems and a battery of NMR methods to understand the mechanism of interactions and structural changes. The detailed understanding of these interactions will aid development of agents with improved solubilization properties. Diffusion coefficient (DOSY) and NOESY measurements reveal internalization of biphenyls and their location in micelles, which are highly dependent upon the nature of the functional groups. Site-specific chemical shift changes, spectral deconvolution and intermolecular NOE interactions show a strong correlation between oxygenated functional groups and the depth of insertion into the micelles. The relative solubilization capacity of surfactants and the estimates of the number of solubilizates per micelle determined by q-NMR also support the conclusions derived from other NMR experiments. Background: Targeting both mitochondrial bioenergetics and glycolysis pathways is an effective way to inhibit proliferation of tumor cells, including those that are resistant to conventional chemotherapeutics. Methods: In this study, using the Seahorse 96-well extracellular flux analyzer, we mapped the two intrinsic cellular bioenergetics parameters, oxygen consumption rate and proton production rate, in six different pancreatic cancer cell lines and determined their differential sensitivity to mitochondrial and glycolysis inhibitors. Results: There exists a very close relationship between intracellular bioenergetics parameters, depletion of ATP and anti-proliferative effects (inhibition of colony forming ability) in pancreatic cancer cells derived from different genetic backgrounds treated with the glycolysis inhibitor, 2-deoxyglucose (2-DG). The most glycolytic pancreatic cancer cell line was exquisitely sensitive to 2-DG, whereas the least glycolytic pancreatic cancer cell was resistant to 2-DG. However, when combined with metformin, inhibitor of mitochondrial respiration and activator of AMP-activated protein kinase, 2-DG synergistically enhanced ATP depletion and inhibited cell proliferation even in poorly glycolytic, 2-DG resistant pancreatic cancer cell line. Furthermore, treatment with conventional chemotherapeutic drugs (e.g., gemicitabine and doxorubicin), or COX-2 inhibitor, celecoxib, sensitized the cells to 2-DG treatment. Conclusions: Detailed profiling of cellular bioenergetics can provide new insight into the design of therapeutic strategies for inhibiting pancreatic cancer cell metabolism and proliferation. Laryngopharyngeal Reflux Disease (LPRD), an extension of gastroesophageal reflux disease (GERD) occurs when gastric contents are refluxed past the esophagus into the larynx, pharynx, and even the middle ear. Current acid suppression therapy with proton pump inhibitors (PPIs) has proven ineffective because unlike GERD, pepsin is the mechanism behind damaging of healthy tissues, not stomach acid. When pepsin is refluxed extraesophageally it can actively digest healthy tissues, damaging cells, leading to mutations and causing subsequent cancers. The objective of this research is to identify new pepsin inhibitors to completely and irreversibly inhibit pepsin’s activity when present in these tissues. Previous work in the project includes three different fluorescence assays, which were developed using labeled pepstatin, casein, and peptide probes to indicate varying levels of inhibition of the pepsin enzyme. These assays were then used to screen the Library of Pharmacologically Active Compounds (LOPAC) to determine if any compounds inhibited pepsin. Fortunately, each assay turned up only a few hit compounds, allowing our research to focus in on these specific hits. In order to verify that these hits were specific and selective to pepsin, an additional fluorescence assay was designed using a different aspartic protease, Cathepsin-D. The Cathepsin-D assay will be used to again screen the LOPAC library for hit compounds to determine if the previous hits were in fact specific to pepsin. Once target compounds have been identified, they will be subjected to cell based assays to assess their viability as drug candidates in vivo. Background: Middle East Respiratory Syndrome coronavirus (MERS-CoV) is one of the two dangerous, pathogenic human coronaviruses along with the severe acute respiratory syndrome coronavirus (SARS-CoV). The papain-like proteases (PLpro) of MERS-CoV and SARS-CoV are known to be essential for viral replication, making them attractive drug targets in antiviral drug discovery. Methods: MERS-CoV PLpro apo structure has been determined by X-ray crystallography. Four SARS-CoV PLpro inhibitors were tested against MERS-PLpro, followed by high-throughput screening (HTS) of 25,000 compounds against both PLpro enzymes. False positives were eliminated by surface plasmon resonance (SPR) binding analysis, and confirmed hits were further characterized by IC50 determination, mode of inhibition, reversibility, and selectivity. Results: A complete structure of the MERS-PLpro was determined, and we also found a crucial residue that affects its catalytic activity. None of the tested SARS-PLpro lead inhibitors were effective against MERS-PLpro. We identified a new selective dual inhibitor via HTS that acts as a mixed-type inhibitor against SARS-PLpro (IC50 = 10.9 µM and also acts as a competitive inhibitor against MERS-PLpro (IC50 = 6.2 µM). Conclusion: A complete structure of the MERS-PLpro was determined, and we also found a crucial residue that affects its catalytic activity. None of the tested SARS-PLpro lead inhibitors were effective against MERS-PLpro. We identified a new selective dual inhibitor via HTS that acts as a mixed-type inhibitor against SARS-PLpro (IC50 = 10.9 µM and also acts as a competitive inhibitor against MERS-PLpro (IC50 = 6.2 µM). The key chemical reaction catalyzed by the ribosome is peptide bond formation, which occurs at its catalytic core, the peptidyl transferase center (PTC). The antibiotics linezolid (LZD) and chloramphenicol (CHL), based on their binding in the PTC are thought to prevent the formation of any peptide bond and thereby non-specifically and equally efficiently arrest translating ribosomes at any codon along mRNA. However, we have found that neither one of these compounds has a global inhibitory effect but instead, block formation of only specific peptide bonds, likely based on the sequence context of the protein being made. Our findings suggest that the mechanism of action of these important classes of antibiotics has been largely misunderstood. We aim to unravel the features of the nascent peptide required for LZD and CHL dependent translation arrest. We employed the genome-wide technique of ribosome profiling to observe drug-induced changes in the distribution of ribosomes along cellular mRNAs. From this analysis we found that the antibiotic-arrested ribosomes preferentially carried a nascent peptide whose penultimate amino acids were Ala, Ser, or Thr. Subsequent biochemical experiments which utilized a cell-free translation system confirmed that the identity of the penultimate position affects the ability of LZD and CHL to arrest translations. Using this information we are developing biochemical and structural approaches to gain insights into the basic principles of LZD and CHL context-specific action and to elucidate interactions between the ribosome, the nascent peptide, and inhibitors bound to the PTC. Platelet-leukocyte interactions on activated endothelial cells play important roles in mediating pathological thrombosis and inflammation. Heterotypic platelet-leukocyte aggregation is mediated by the interaction of two crucial receptors and counter receptors; P-selectin-P-selectin glycoprotein ligand-1 and glycoprotein Ibalpha-alphaMbeta2 integrin. In spite of extensive understanding of receptor-counter receptor interactions, it remains unclear how heterotypic cell-cell interactions are regulated under thrombo-inflammatory conditions. Using real-time fluorescence intravital microscopic analysis of Akt isoform-specific knockout (KO) mice, we have demonstrated that Akt2, but not Akt1 or Akt3, plays an important role in neutrophil adhesion to the site of TNF-alpha-induced vascular inflammation. Further, heterotypic platelet-neutrophil interactions on the activated endothelium were markedly reduced in Akt2 but not Akt1 or Akt3 KO mice. Studies with chimeric mice generated from bone marrow transplants on wild-type and Akt2 KO mice revealed that hematopoietic but not endothelial cell Akt2 regulates neutrophil recruitment and platelet-neutrophil interactions during vascular inflammation. Using in vitro reconstituted systems in which platelets and neutrophils were treated with an Akt2 specific inhibitor or cells were isolated from WT and Akt KO mice, we observed that both platelet and neutrophil Akt2 play an important role in platelet-neutrophil aggregation under shear conditions. In particular, neutrophil Akt2 was critical for membrane translocation, activation, and adhesive function of alphaMbeta2 integrin and Ca2+ mobilization following agonist stimulation. We found that the basal phosphorylation levels of Akt isoforms are significantly increased in neutrophils and platelets of patients with sickle cell disease (SCD), which is an inherited hematological disorder with vascular inflammation and occlusion. Also, SCD patients’ neutrophils show increased alphaMbeta2 integrin activation in the absence of an agonist, in comparison with healthy donors’ cells. Inhibition of Akt2 dose-dependently reduced heterotypic aggregation of patients’ neutrophils and platelets in vitro and inhibited neutrophil adhesion and neutrophil-platelet aggregation in SCD mice, thereby improving blood flow. Our results provide important genetic and pharmacologic evidence that neutrophil Akt2 regulates alphaMbeta2 integrin function and thus plays a critical role during neutrophil recruitment and neutrophil-platelet interactions under thrombo-inflammatory conditions such as SCD. Antibiotics-producing bacteria need resistance genes to avoid suicide. Streptomyces venezuelae produces two related ketolide antibiotics, methymycin (MTM) and pikromycin (PKM), which target the ribosome. Two putative resistance genes, pikR1 and pikR2 are associated with the ketolide biosynthetic gene cluster. These genes encode enzymes homologous to Erm rRNA methyltransferases that are known to modify A2058 in 23S rRNA within the macrolide-binding site. We investigated why the producer would carry two similar resistance genes. Expression of PikR1 and PikR2 in E. coli conferred resistance to macrolides suggesting that these rRNA methylases target a nucleotide within macrolide binding site. Primer extension and mass spectrometry analyses showed that PikR1 and PikR2 monomethylated and dimethylated A2058 in 23S rRNA, respectively. Both pikR genes are preceded by short leader peptides – a feature often associated with inducible resistance. In vivo reporters showed that the expression of pikR2, but not of pikR1, was induced by MTM and PKM. The pikR2 induction is mediated by programmed translation arrest. Our results suggest that the producer ribosomes are constitutively monomethylated at A2058 by the action of PikR1 to provide the basal level of protection. Upon the activation of antibiotics production, the expression of dimethylase PikR2 is activated leading to a higher degree of resistance. Potentially, both of these genes could be a source of clinically relevant resistance to ketolide antibiotics. aDepartment of Chemistry, University of Wisconsin, Milwaukee, Wisconsin- 53211, United States. Department of Anesthesiology, College of Physicians and Surgeons of Columbia University, New York, New York-10032, United States. The inflamed and constricted airway smooth muscles (ASM) in the lung lead to the bronchoconstriction, followed by extra mucus secretion and reduces the flow of air in and out of the lungs. Asthma is the immune response of this effect. Asthma affects ~245 million people worldwide and ~25 million in the US alone. First line drugs to promote ASM relaxation are clinically more valuable than suppressing the local immune/ inflammatory processes by inhaling corticosteroids and ß-adrenergic antagonists.1 Activation of ASM Bz/GABAA receptors with agonists (CMD-45 and XHE-III-74) selective for a4ß3?2 subunits resulted in appropriate membrane potential changes, chloride currents and promoted relaxation of ASM.2 Given the absence of a6 subunit expression in the lungs, these agents truly target the a4 containing Bz/GABAA receptors. Recently a series of new subtype selective Bz/GABAergic ligands have been developed based on the SAR of CMD-45 and XHE-III-74 and progress in this area will be presented in this poster. Natural products have always been valuable and reliable sources and inspirations for the identification of life-saving drug molecules. Over 50% of the FDA-approved agents are either natural products or their derivatives. In order to further expand their therapeutic potential, developing efficient and divergent synthesis of complex bioactive natural products is important and necessary. An efficient and divergent synthesis will not only allow quick access of the natural product of interest to profile its function, but also enable the synthesis of related natural analogs as well as the creation of a focused small-molecule library based on the privileged natural scaffolds to explore the related chemical space and identify new function. Three short stories will be covered to illustrate our strategies and methods in searching for function, diversity and efficiency in complex natural product synthesis. The first two will focus on our divergent synthesis of two families of bioactive alkaloids: monoterpene indole alkaloid and lycopodium alkaloid. The third one will focus on a novel palladium-catalyzed carbonylation methodology and its application to streamline the synthesis of anti-cancer macrolides. The role of protein dynamics in its biological function have been studied extensively for many years, and many previous studies have suggested that dynamics at femtosecond to picosecond time scales within enzyme’s active site and the kinetics are correlated. Although some theoretical/computational studies support this hypothesis, direct observation is still lacking. We utilize kinetic isotope effects (KIEs) measurements to study the nature of the chemical step, and also apply two-dimensional infrared (2DIR) spectroscopy to directly probe the dynamic relaxation at the transition state at the active site to address this hypothesis. We utilize a model enzyme system – formate dehydrogenase from Candida boidinii (CbFDH), a NAD+-dependent enzyme that catalyzes the oxidation of formate anion to carbon dioxide, to conduct these studies. The advantage of CbFDH system is that its transition-state-analog inhibitor, azide anion, is an excellent IR chromophore, and thus enables us to use 2DIR to catch the dynamic information. On the other hand, we recently successfully solved the high-resolution ligand-bound crystal structure of this enzyme, which provide more guidance for the mutagenesis studies. According to the structural analysis, we serially mutated two hydrophobic residues in the active site V123 and I175 located immediately behind the nicotinamide ring to make more space in the active site, and KIEs results showed increased temperature dependency from wild-type enzyme to mutants. Our preliminary 2DIR results showed some changes between wild-type and double mutant, which potentially supports the correlation between dynamics and kinetics, and we are going to make more rigorous evaluations before linking the change in the active-site dynamics to the changes we observe in the temperature dependence of the KIEs. Our finding will provide an alternative way for understanding the inhibition mechanisms of an enzyme and therefore will assist in characterizing enzyme-targeted drugs and shall shine light on the rational drug design research. The clinical introduction of penicillin in the 1940s is a milestone in the history of mankind since it led to a drastic decrease of the mortality rate caused by bacterial infections and also to an unprecedented improvement in the quality of life. The two decades between 1940 and 1960 have been defined as the “golden era of antibiotics” in which several new classes of antibiotics were developed and introduced on the market. However, infectious diseases have not been eradicated since bacteria progressively developed a wide variety of mechanisms to survive antibiotics, giving rise to the growing phenomenon of bacterial resistance. As a consequence, the commonly used antibiotics are becoming less and less effective and the need for new antibiotics, with novel structures and/or mechanism of action, become every year more pressing. My work in the Miller group deals with the development of new methodologies to be applied to the synthesis of monocyclic beta-lactam antibiotics. In particular, we are interested in the synthesis of beta-lactams which display a sulfur-containing side chain at the C4 position and an ATMO side chain at the C3 position. Several analogs have been generated through a synthetic route in which a bromine-induced cyclization is used for the construction of the beta-lactam ring. The biological activity of the final compounds has been also evaluated. Efforts have also been directed to the syntheses of monocyclic beta-lactams containing an ATMO side chain at the C3 position and a 1,2,3-triazole moiety at the C4 position, which is introduced through the use of click chemistry. The biological activity of the final compounds will also be evaluated using in house agar diffusion essays. The development of bacterial pathogens for use as biodefense agents poses a severe threat to national security, as these microorganisms are evolving resistance to known antibiotics and are able to efficiently infect and kill humans. Ten of the fourteen genera of bacteria on the NIAID Priority Pathogens list are Proteobacteria, a group that is ubiquitous in aquatic environments. We hypothesize that the production of antimicrobial secondary metabolites may be induced by direct competition experiments in a phylum specific manner between neighboring environmental bacteria in liquid co-culture. A set of 110 aquatic actinomycete strains that did not produce antibiotics in liquid media were co-cultured under four conditions, each with one of four Proteobacteria biodefense mimic strains. We observed that the co-culture of actinomycete strain B033 with several proteobacterial classes resulted in the production of the antibiotic resistomycin. Importantly, this secondary metabolite was not observed in the culture broth of the actinomycete control. We then co-cultured strain B033 with a panel of bacteria composed of the major phlya from aquatic environments: Firmicutes, Acitinobacteria, and Proteobacteria. Our data suggest that Proteobacteria induce the production of resistomycin in strain B033 at significantly higher rates than bacterial strains from Firmicutes and Actinobacteria, suggesting that the regulation of secondary metabolism in bacteria is in some cases dependent on the species present in the environment. These results display a lack of promiscuity of antibiotic biosynthetic pathways, and suggest that future drug-lead discovery efforts should take into consideration environmental factors that may regulate secondary metabolite gene expression. HECT E3 ubiquitin ligases are implicated in a variety of human diseases, but there are few reported small molecule inhibitors of these enzymes. In order to discover new inhibitors of the HECT E3 Nedd4-1, we developed a novel irreversible fragment tethering approach. This method employs the irreversible covalent trapping of drug-like fragments at surface cysteines. We rationally designed a chemical system to attach a cysteine-reactive electrophile to 100 drug-like fragments without significant alterations in the thiol reactivity of the attached electrophile, ensuring that specific binding and not increased reactivity will produce candidate inhibitors. We screened our library against Nedd4-1 and discovered two fragments which reacted selectively with Nedd4-1 and did not cross react with other enzymes. Surprisingly, we found that these inhibitors did not react with the catalytic cysteine of Nedd4-1 but another cysteine near the non-covalent ubiquitin binding site. This site binds to ubiquitinated substrates to extend the length of the ubiquitin chain, which is known as the processivity of the ligase, and therefore it is essential for polyubiquitination but not monoubiquitination. Our covalent fragments reduce the binding affinity of Nedd4-1 for ubiquitin, and they inhibit Nedd4-1 polyubiquitination processivity in vitro. The X-ray crystal structure of the most potent fragment in complex with Nedd4-1 has been solved, and this structure was used to further optimize the fragment into a more potent inhibitor. Click chemistry and in-gel fluorescence with an alkyne tagged analog of this inhibitor have shown that the inhibitor reacts with Nedd4-1 in TC71 cells with good selectivity. This inhibitor is currently being used to more closely investigate the functions of Nedd4-1-catalyzed polyubiquitination in cellular biology and disease. Class I HDAC catalytic activity is extensively regulated in vivo through the formation of co-repressor complexes and post translational modification (PTM). We hypothesized that these changes in catalytic activity likely arise due to alteration of the active site of these proteins, which could ultimately affect the binding of small molecule inhibitors or other endogenous ligands. To determine if protein-protein interactions or PTMs could affect ligand binding in a cellular context, we developed a Photoreactive Hydroxamate baseD probe (PHD-probe) that can bind and covalently modify target HDACs, as well as conjugate to a fluorescent substrate for visualization. We show that the PHD-probe is a potent pan-inhibitor of all recombinant class I HDACs, with modest selectivity for recombinant HDAC1, and can bind and specifically label all recombinant class I HDACs. In MCF-7 breast cancer cell lysates, the PHD-probe retains its ability to bind and label all class I HDACs. Despite pan-HDAC activity and labeling efficacy with recombinant HDACs and MCF-7 cell lysates, the PHD-probe binds and differentially labels select nuclear class I HDACs in MCF-7, MCF10A, and BT474 cells in a cell type dependent manner. This is the first experimental evidence that shows the binding of ligands to class I HDACs is cell type dependent and suggests that the network of HDAC protein-protein interactions are responsible for this cell type dependent ligand binding because the PHD-Probe could label all class I HDACs in cell lysates where many of these protein-protein interactions would be disrupted. Taken together, this study suggests a model where HDACs form cell type dependent complexes which determine HDAC ligand binding preference. This model highlights the importance of developing HDAC inhibitors directly in a cellular system where the effects of HDAC complex components are taken into account and it identifies a potentially exploitable avenue for cell type selective inhibition of HDAC complexes. Purpose: We have previously reported the identification and characterization of novel benzimidazole based FabI inhibitors that bind to the FabI enzyme from F. tularensis (FtFabI) in a unique binding mode. We now extend this work to FabI from S. aureus (SaFabI) and have confirmed through X-ray crystallography that these inhibitors bind SaFabI in a binding mode similar to that in FtFabI. Our most active compounds display antibacterial activity against both wild type S. aureus and MRSA. In this work we report the mechanism of action of these inhibitors. Methods: The mechanistic characterization of the mode of action was determined by monitoring the MICs of the compounds with S. aureus strains overexpressing FabI. The recombinant plasmid pHT370 was used to clone the fabI gene with its putative promoter, and introduced into S. aureus RN4220 by electroporation. Results: We have characterized several benzimidazole analogs in our SaFabI overexpression system to determine if they primarily target FabI. We followed the change in antibacterial activity (MIC) of the compounds from that in the wild type strain to that in the SaFabI overexpressing strain and found that the MIC increased significantly for some compounds. This increase is similar to the increase observed with triclosan, a well-known FabI inhibitor. However, with other analogs no corresponding increase in MIC was observed, indicating that some of our inhibitors primarily target FabI while others, although similar in structure, also have other targets. These compounds with off-target activity are chiral in nature, exhibit low nanomolar IC50s, and bind to FabI in a binding mode that is similar to other non-chiral benzimidazole inhibitors as seen in our crystal structures. Conclusions: Our data suggests that although the compounds are based on the same overall scaffold, introduction of a chiral center enhances its off-target effect. Understanding this property significantly contributes to the lead optimization program. The solvent-exposed surfaces of proteins comprises unique conformations, such as alpha helices that can stabilize protein-protein interactions by binding to specific grooves on the surface of partner proteins. Peptides mimicking the secondary structure of interacting regions can be used for therapeutic purposes when they are designed to bind at the interface where two proteins interact and disrupt important pathways of signal transduction. One well developed approach for constraining peptides into alpha-helical conformations is to chemically install an all hydrocarbon “staple” via ring closing metathesis of two non-natural alkene-containing amino acids. A common implication when incorporating a chemical staple is that the introduced alkyl chain—meant to be just a constraint—can itself interact with hydrophobic regions on the target protein’s surface and augment the affinity and selectivity characteristics of the amino acid residues from the natural sequence. A specific example of this has been shown in a crystal structure of a stapled peptide derived from steroid receptor coactivator 3 that binds to the estrogen receptor. In this example the hydrocarbon staple interacts with the receptor in place of isoleucine and leucine residues. We hypothesize that enhanced selectivity and potency can be achieved by better reproducing the natural binding surface of SRC3, and we have prepared novel stapling amino acids that incorporate functionality from isoleucine and leucine for use in developing peptides that inhibit the estrogen receptor/steroid receptor coactivator interaction. Alcoholism plays a significant role in public health concerns impacting physical and mental well-being, family structure and occupational stability. ß-Carboline-3-carboxylate-t-butyl ester [ßCCt] and 3-propoxy-ß-carboline hydrochloride [3-PBC•HCl] function as mixed benzodiazepine receptor agonist-antagonists, and they selectively bind at the benzodiazepine GABAA a-1 receptor. The results have shown that systemic and direct infusion of ßCCt or 3-PBC•HCl into the ventral pallidum produces remarkably selective reduction in alcohol responding in alcohol preferring (P) and high alcohol drinking (HAD) rats. This indicates that these types of ß-carbolines may represent a non-addicting treatment for human alcoholics. Initially ßCCt and 3-PBC were synthesized via 5 step (35 % yield) and 8 step (8 % yield) protocols, respectively. In an attempt to replace these time consuming syntheses, a new route involving 2 steps was developed. This new route involved a palladium catalyzed Buchwald-Hartwig coupling, and an intramolecular Heck reaction as key steps. The later reaction led to two regioisomeric ß- and ?- carbolines. Regioselective synthesis of ß-carbolines was achieved by simply changing the chlorine position from the benzene ring to the pyridine ring. This 2-step protocol decreased the number of steps, eliminated the unwanted regioisomer and improved the overall yields. Using this protocol ß-carboline, 3-ISOPBC and aza ß-carboline, AZA-3-ISOPBC were synthesized. The ß-carboline, 3-ISOPBC•HCl appeared to be a potential lead anti-alcohol self-administration agent active against binge drinking in maternally deprived (MD) rats. The development, application of this synthetic route and in vivo studies will be presented. Major Depressive Disorder (MDD) is a leading cause of death and disability worldwide. Recent studies have indicated that the hyperpolarization activated cyclic nucleotide gated (HCN) channel is a novel target for the treatment of depression. Unfortunately, existing drugs that block HCN channels in the brain also block HCN channels in the heart. This effect on cardiac HCN channels leads to arrhythmias and limits the clinical utility of these agents. Our recent work on TRIP8b, an auxiliary subunit of HCN channels expressed only in the brain, illuminates a new approach to block HCN channel function specifically in the brain. TRIP8b is expressed in neurons and controls HCN channel function by interacting with the C-terminal tail of HCN channel subunits. We have previously shown that blocking the interaction between TRIP8b and the HCN channel subunits is an effective way to inhibit HCN channel function. In this study, a high throughput fluorescence polarization (FP) primary screening assay was established using cloned and purified TRIP8b protein and FITC-conjugated HCN1 peptide. A number of libraries were screened including ChemBridge, ChemDiv, Spectrum, and ASDI. We identified ~300 compounds with over 25% inhibition of TRIP8b/HCN1 interaction, ~100 compounds with over 50% inhibition, and ~80 compounds with >75% inhibition. To validate our first screening assay, we performed a secondary screening assay on the compounds with the greatest inhibition of TRIP8b/HCN1 interaction using fluorescence thermal shift (FTS) assay. As a result, approximately 10 compounds were selected based on their structure and calculated IC50, and 10 compounds along with their analogs were tested by an Alpha screen assay with TRIP8b and HCN1 protein. These compounds will be further verified in future experiments as candidate drugs that specifically inhibit TRIP8b/HCN1 interaction hence inhibiting HCN channel functioning in the brain. Targeting the TRIP8b/HCN1 interaction will allow us to develop novel treatments for depression. Type II topoisomerases (Top2) are important for many nuclear processes such as replication, chromosomal segregation, and transcription. Anti-cancer agents such as doxorubicin and etoposide target Top2 by blocking the enzyme reaction, leading to accumulation of Top2-DNA covalent complexes (Top2 cc) that interfere with DNA metabolism and trigger cell death. The mechanisms resulting in tumor-specific killing by Top2-targeting drugs have been hypothesized to arise in part from DNA repair defects that arise during tumorigenesis. Targeting repair pathways critical for Top2-mediated cell killing could be utilized to enhance the activity of these drugs. Pathways involved in processing of Top2 cc include proteasome-mediated degradation and nucleolytic activities, both of which remove trapped Top2 from DNA. To gain insight into the processing pathways, we optimized the ICE (in vivo complex of enzyme) assay to detect Top2cc in mammalian cells. Using this assay, we have demonstrated a role of DNA repair proteins MRN complex and CtIP in processing of Top2 cc. In addition, we found that carfilzomib, an anti-cancer agent acting as a proteasome inhibitor, elevated Top2 cc levels and enhanced etoposide-induced cell killing. We also developed the ICE assay in yeast cells to identify genes relevant for processing Top2 cc. Of note, we found that depletion of ubiquitin ligase Slx5/Slx8 complex, RNAPII degradation factor Def1 and proteasome transcription factor Rpn4, leads to significant increase in Top2 cc levels, respectively. We therefore hypothesize that Slx5/Slx8 marks Top2cc for proteasomal degradation, and that the transcription plays an important role in the detection of Top2 cc. These results suggest that proteasome inhibition may be usefully combined as a repair inhibitor in concert with Top2-targeting drugs, and that other components of the ubiquitin-proteasome system may also function as specific agents for enhancing the action of these drugs. Expression of several macrolide resistance genes is regulated by drug dependent translation arrest in their regulatory regions. Macrolide-dependent translation arrest depends on the amino acid sequence of the nascent peptide. For e.g., we previously determined by biochemical and bioinformatic methods that the Arg/Lys-X-Arg/Lys (+X+) motif encoded in the regulatory regions of several resistance genes as a problematic sequence for the drug-bound ribosome to synthesize. Consistent with this idea, recent ribosome profiling data of E. coli cells treated with macrolides showed that drug bound ribosomes have the propensity to stall when they encounter the +X+ sequence. However, we observed several instances both in vitro and in vivo where stalling does not occur at the +X+ motif in the presence of the drug, suggesting that, besides the presence of the stalling motif, additional elements of the peptide are necessary for drug-mediated translation arrest. Our current study was focused on elucidating what causes the drug bound ribosome to either stop or continue translation when it encounters the +X+ motif. We used ErmDL peptide (MTHSMRLR), which regulates expression of resistance gene ermD, as a model arrest peptide in cell free translation reactions performed in the presence of macrolides. Detailed mutagenesis analysis of the peptide residues shows that integrity of the sequence THSM, rather than the identity of its individual amino acids, is critical to direct drug-dependent stalling at the RLR motif of ErmDL. Our study suggests that the context of the amino acid sequence preceding the site of arrest influences the positioning of the stalling domain residues at the catalytic center of the ribosome, thus determining interruption or continuation of protein synthesis. Therefore, the regulatory leader peptides likely evolved to contain not only the ‘stalling sequence’ but also the right ‘context’ in order to cause the translation arrest necessary to activate resistance genes. Tamoxifen is the standard of care for many patients with estrogen receptor positive (ER+) breast cancer and works by antagonizing the actions of estrogen at ER. However it poses an increased risk of endometrial cancer and thrombotic events, and most significantly, 30-50% women develop resistance to tamoxifen therapy, underlining the need for superior therapeutic options. Paradoxically, prior to tamoxifen therapy, estradiol (E2) and the ER agonist, diethylstilbestrol, had been used in breast cancer therapy, though with serious side effects. Development of partial agonist selective estrogen mimics (PASEMs) that cause regression of tamoxifen-resistant breast cancer, but without the side effects of E2, represents a rational therapeutic strategy. Novel PASEMs were developed, which in vitro in 3D cultures and in vivo caused complete regression of tamoxifen-resistant xenografts, with characteristics similar to those of E2. These PASEMs did not fuel growth of estrogen-dependent T47D xenografts and did not cause uterine growth. PASEM mediation of classical ER-signaling was profiled in MCF7 and MDA-MB231:ß41 cells. A tamoxifen-resistant cell line, MCF-7:5C, was used to assay induction of cell death by both E2 and the PASEMs and to probe the mechanism of action. Structure-activity relationships were explored, suggesting that partial ER? agonists have the capacity to cause regression of tamoxifen-resistant tumors, without adverse effects associated with estrogenic actions in normal gynecological tissues of the breast and uterus, which might contribute to carcinogenesis. The ER-mediated agonist/antagonist activity, regression efficacy, and pharmacokinetic profiles of these PASEMs were examined to obtain lead compounds that are effective with minimal estrogenic side effects. This research paves the way for use of PASEMs in tamoxifen-resistant breast cancer with enhanced safety profiles. Nitric Oxide (NO•) is an epigenetic regulator and has an essential role in the progression of many forms of cancer, (specifically at higher levels of NO•) conveys the importance in both disease and non-disease states. Many proteins in the dioxygenase family play a key role in epigenetics. Dioxygenases are primarily responsible for demethylation reactions (histones, nucleic acid, etc.). Previous studies show alterations in methylation contributing to the pathogenesis of multiple disease states, specifically cancer. Dioxygenases commonly require two co-factors: Fe(II) and a-ketoglutarate for optimal function. Ten-eleven-translocation (TET) is in the methylcytosine dioxygenase family comprised of 3 proteins, their major role is cytosine demethylation, which is essential for expression of previously silenced genes. Current literature shows decreased TET activity in various cancer forms, resulting in decreased 5-hydroxymethylated DNA. The known relationship between Fe(II) and NO• in cellular function, along with the catalytic dependency of TETs on Fe(II), will determine the role of NO• regulation of TET function in disease pathogenesis and normal function. This will lead to potential therapeutics to reverse the decreased TET activity found in numerous cancers, to activate genes previously silenced by oncogenic factors. In order to understand the regulatory function of NO• specifically on TET proteins, we are performing biochemical analysis to determine at what level of protein synthesis (DNA, RNA, protein inhibition) can NO• regulate TET activity. We have shown decreased activity of TET proteins in the presence of NO•, hypothesized to be due to interactions of NO with the Fe(II) of the TET proteins catalytic pocket. With qPCR and western blot analysis we are able to demonstrate a tissue specific relationship between TET3 and NO•. These methods will allow us to determine the role NO• plays in regulating TET proteins from de-methylating anti-cancers genes, traditionally seen methylated in the presence of cancer. Reversing the methylation status in disease states to those similar in non-disease states will aid in development of new therapeutics for NO• driven cancers. Copper (Cu) homeostasis is critical for all domains of life. Although Cu is an essential cofactor of several enzymes, excess Cu is lethal for the cell. Cu-translocating ATPases are found in almost every organism, from E. coli to humans and include homologues associated with Cu-related diseases. Cu1+(I) transporter ATPase CopA is one of the crucial systems that bacteria utilize to fine-tune intracellular Cu concentration. Ribosome profile analysis of E. coli cells revealed that translation of copA gene is abruptly interrupted at its 70th codon suggesting that its expression is regulated at the level of translation. The purpose of this project is to determine the mechanism of the copA translational regulation and its biological significance. We purified from cell lysates a C-terminal truncated translation product of CopA that we named mini-CopA. Surprisingly, molecular weight determination by mass spectrometry of the purified polypeptide revealed that C-terminal amino acid of mini-CopA was not an alanine, as predicted by the codon sequence, but a glycine. Inspection of the gene sequence in the region immediately preceding the translation arrest event, led us to propose the mechanism: ribosomes shift to the -1 frame where it encounters a Gly codon followed by a stop codon. Examining translation of copA in cell-free translation systems we discovered that mRNA elements downstream from the frameshift site and the sequence of the nascent peptide carried by the translating ribosome are important mediators of the recoding event and are possible targets for the regulation mechanism. We are currently investigating possible roles of Cu concentration in the cell in mediating the frameshift-directed interruption of copA translation and its relevance for the expression of the CopA transporter. Our findings illuminate a novel mechanism of translation regulation important for homeostasis of essential metals in bacterial cells, which could be relevant to important human diseases. Development of pre-clinical experimental models to understand the in-vivo metabolic performance of a drug is gaining importance in new drug discovery. GABA-ergic drugs are historically used for the treatment of neurological disorders such as neuropathic pain, schizophrenia and anxiety but recently have shown to treat asthma. In the present study, an in-vitro microsomal assay was designed to evaluate the metabolic stability of GABAA receptor subtype selective ligands using microsomes and S9 fractions of human and mouse liver extracts. A LC-MS/MS method was developed to quantify the amount of drug degrading over a period of time using verapamil as internal standard. Herein, we will report the development, analysis and standardization of a liver microsome stability assay using the Shimadzu LCMS-8040 triple quadrupole instrument at the Milwaukee Institute for Drug Discovery. Recent studies into cardiomyopathy have identified a missense mutation in the self-assembling mitochondrial fission protein, Dynamin-related protein 1 (Drp1). This mutation underlies the gross cardiomyopathic phenotype in the Python mouse model reported previously. Our investigation of the biochemical underpinnings of this phenotype have shown an overall increase in GTP hydrolysis by the enzyme, as well as an increased level of higher-ordered assembly. This was later shown to be due to a deficiency in the mutant’s ability to disassemble. Investigations have also shown an impairment in mitophagy and overall bioenergetics, which are essential for proper cardiac functionality. This increase in assembly and enzymatic activity lends itself to treatment via small molecule inhibitors, such as Mdivi-1, the selective dynamin inhibitor. Our lab intends to focus studies on the further characterization of this mutant, as well as screening small molecules for the reversal of this cardiomyopathic phenotype. Abnormalities in mitochondrial dynamics have been implicated in a variety of diseases; specifically, excessive fission has been linked to Parkinson’s disease and other neurodegenerative diseases. Within these disease models, inhibition of the GTPase mechanoenzyme responsible for mitochondrial fission by either expression of a dominant negative mutant or RNA interference decreases mitochondrial fragmentation, restores ATP production, and ultimately prevents cell death. This GTPase, dynamin-related protein 1 (Drp1), is a cytosolic protein that is recruited to the mitochondria by a number of mitochondrial-targeted adaptors, one of which is the outer mitochondrial membrane protein Fis1. Drp1 and Fis1 are essential for fission and are structurally and by sequence similarity highly conserved throughout all species containing mitochondria. Mice possess 3 different isoforms of Fis1, where mFis1 isoform 1 (mFis1.1) has the highest similarity to hFis1. Structurally, mFis1.1 only differs at the N-terminal arm (residues 1-16) of Fis1, whereas mFis1 isoform 2 lacks the N-terminal arm completely. The N-terminal arm of Fis1 is essential for mitochondrial fission stimulation and possesses an auto-inhibitory effect on Drp1 binding. We hypothesize that the structural differences between isoforms 1 & 2 facilitate Drp1 GTPase activity at different rates, which allows for fission regulation. To delve into the mechanistic aspects of this interaction, we used recombinant Fis1 and Drp1 in GTP hydrolysis assays to determine if Fis1 enhances Drp1’s GTPase activity. Interestingly, the two mouse isoforms of Fis1 (mFis1 isoform 1 and 2) we tested did not enhance human Drp1 activity. However, preliminary studies suggest that recombinant human Fis1 is able to enhance human Drp1 GTPase activity. Previous findings have suggested that the N-terminal arm of Fis1 (residues 1-8) mediates oligomerization and this process aids in Drp1 recruitment, assembly, and GTPase activity. Our preliminary studies determining the oligomeric states of mFis1 isoforms by size-exclusion chromatography suggests both isoforms are able to sample higher-order oligomers. Furthering these studies will determine if the N-terminal arm of Fis1 has an allosteric role in regulating Drp1. Future studies will use small-molecule based screening to determine the role of the modulating N-terminal arm. Ed Reilly, Sr. Research Fellow & Project Director, AbbVie, Inc. It is our great pleasure to invite you to participate in the 2014 Yao Yuan Conference, to be held on Saturday, March 8th, 2014, at the McCormick Tribune Campus Center at Illinois Institute of Technology. This is the sixth in a series of annual conferences Yao Yuan has sponsored, focusing on key topics in drug discovery and designed to build bridges between scientists in the US and Asia. This year’s theme is “Academic-Industry Connections for Drug Discovery”, and as such it attempts to serve as a platform for productive interactions between academic and industrial researchers. This year’s conference is also unique in having a strong focus on students; in addition to a juried student poster session, our scientific sessions will be interspersed with discussions relevant to students hoping to find a future in drug discovery. The pharmaceutical industry has experienced tremendous challenges in recently years due to “patent cliff” threats as well as changes in public and healthcare policies pertaining to how medicine is accessed and paid for. These challenges have caused investors, industrial leaders and scientists to question return on investment, justification of capital spending and career sustainability in R&D. With a theme of “Transforming Pharmaceutical R&D”, Yao Yuan’s 5th Biotech-Pharma Symposium seeks to gather and inspire scientists at the forefront of discovery and development in the pharmaceutical and biotechnology industries and to provide some context in this period of transition. This event will be a valuable opportunity for learning amongst professionals, academicians and students, and serves as a platform for discussions around transforming pharmaceutical R&D. Though primarily intended to be a Midwest regional gathering, e.g., Illinois, Indiana, Iowa and Wisconsin, the Symposium has historically attracted attendees from all areas of the country. Mark Ratain, MD, Leon O. Jacobson Professor of Medicine and Director of the Center for Personalized Therapeutics, the University of Chicago. 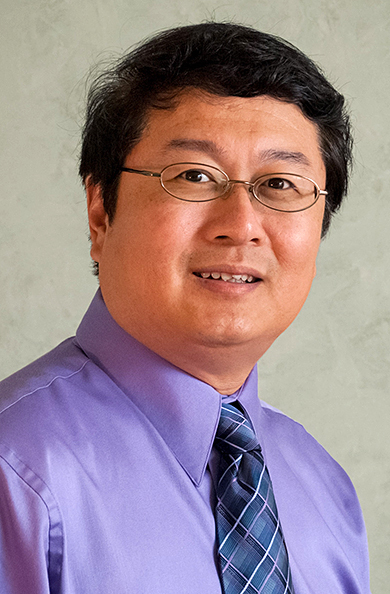 Guoxin Zhu, Ph.D., Executive Director, Eli Lilly. Bradley Morgan, Ph. D., Vice President, Cytokinetics. John Randolph, Ph.D., Associate Research Fellow, AbbVie. The “New Drug Discovery in China” conference will provide a forum for R&D leaders of major Chinese and American pharmaceutical companies to share their successes and challenges in drug discovery. This event will be a valuable opportunity for learning amongst professionals, academicians and students in the Midwest area of USA. This conference will also serve as a platform to foster the interactions and communications among pharmaceutical professionals from Chicago, Indianapolis, Cincinnati, Columbus and other cities in the vicinity. As globalization of pharmaceutical industry continues, R&D is gaining momentum in emerging markets such as China. Better insight of new drug discovery in China is highly important to US pharma companies for their market strategy and potential collaborations. This conference will aim at providing an update on the scope and status of drug development in China, as well as a juncture for US-based professionals to find career development opportunities in both US and China. 1:00 PM—1:20 PM The Important Role of a CRO in New Drug Discovery in China. Chen Chen, CEO, Sundia MediTech Company, Ltd. Afternoon Session : Moderator: Alex Ye, Ph.D., Director of Business Development, Laureate Biophar- maceutical Services, Inc.
Michiel Ultee, Ph.D, CSO, Laureate Biopharmaceutical Services, Inc.
SPV Jiaxing International Bio-Tech Park , Nanjing Sanhome Pharmaceutical Co.,LTD, Wuhan Optics Valley Biomedical Industrial Park , Jinan High-tech Business Incubator, Beijing Eastlinden Science&Technology CO.,LTD, Laureate Biopharmaceutical Services, Inc, Sundia MediTech Company, Ltd. 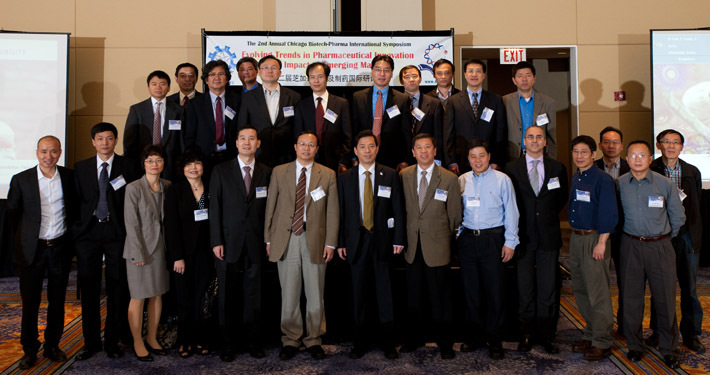 The 3rd Yao Yuan Biotech-Pharma Symposium was held on May 12, 2012 in the Illinois Science & Technology Park, north suburb of Chicago. This symposium series is sponsored by Yaoyuan—Academy for Pharma Innovation, and organized by a group of scientists from pharmaceutical industry and academia in the Great Chicago area. The organizing committee consisted of Drs. Paul Mar, Xuesong Liu, Liangjun Lu, Zhi-Fu Tao, Hongwei Wang, Xiangdong Xu, Lin Zhao, Haiying Zhang and Gui-Dong Zhu. Dr. Paul Mar, CEO and Chairman of Board at SynChem, chaired this event. “Pharma R & D, A Tale of Success” was chosen as the theme of this symposium to highlight the critical path and future horizons in drug discovery and development. Six scientists who have played pivotal roles in the discovery and development of selected recently-approved drugs or companion diagnostic kit shared their exciting stories. More than 120 scientists and professionals from pharma industry and academia attended the conference. Multiple scientific vendors held product shows at the Symposium. The symposium started with a welcome remark by Dr. Paul Mar. Dr. Mar thanked all speakers and audience, particularly those out-of-town a raining day. Moderated by Dr. Zhi-Fu Tao, a senior investigator at Abbott Laboratories, the morning session of the symposium consisted of three presentations. Dr. Peter Senter, a vice president of Seattle Genetics, was the first speaker. Dr. Senter overviewed the important roles of monoclonal antibodies (mAbs) in cancer medicine and briefly explained the action mechanism of antibody cancer drugs such as trastuzumab (Herceptin), cetuximab (Erbitux), bevacizumab (Avastin) and rituximab (Rituxan). Then, Dr. Senter presented two major ways to improve the activity of antibody drugs: 1) Enhancing mAb ADCC activity by selecting stronger Fcg receptor binders. This has been accomplished using engineered cell lines that generate mAbs with optimized Fc regions designed for enhanced receptor binding (Xencor technology), or by changing the carbohydrate structures on the heavy chains of mAbs (Glycart and Biowa technologies). They have discovered an alternative approach involving the identification of biochemical inhibitors of the enzymes fucosyl transferase and GDP-d-mannose dehydratase (GMD). The inhibitors are fucose analogues, and can be added to cells that not only produce mAbs, but other proteins in which fucosylation is important for activity. Several applications of this technology were discussed, both in vitro and in vivo. 2) Enhancing mAb activity by appending highly potent cytotoxic drugs to them. Dr. Senter discussed their researches in antibody drug conjugates (ADC), with new insights gained into the roles that antigen target, normal tissue expression, drug potency, drug mechanism, linker stability, and mechanism of drug release played in generating active ADC with acceptable safety profiles. He overviewed the discovery and development of ADCETRIS (Brentuximab vedotin, SGN-35), an ADC that was discovered and developed by Seattle Genetics and was approved by the US Food and Drug Administration in 2011 for use in relapsed or refractory Hodgkin lymphoma and relapsed or refractory systemic anaplastic large cell lymphoma. The second talk was delivered by Dr. Feng Xu from Merk Research Laboratories. Dr. Xu presented the chemistry innovation and process evolution in search of green manufacturing processes for Sitagliptin, a potent DPP IV inhibitor that is the leading drugs for the treatment of type 2 diabetes. He began his talk with the essential elements of a good manufacturing process: Robust, Green, Cost-effective, Safe, Freedom of operation. Based on these elements, Dr. Xu discussed two commercial manufacturing routes for the agent. Starting from the same raw materials, both routes produced Sitagliptin in two pots, respectively. The 1st generation route featured an unprecedented, highly enantioselective hydrogenation to set the stereochemistry of sitagliptin; and the 2nd generation route relied on an novel engineered enzymatic transamination. The final speaker for the morning session was Dr. Michael Michaelides, head of chemistry in oncology at Abbott Laboratories. Dr. Michaelides discussed the discovery of ABT-869 (Linifanib), an orally administered, potent and specific inhibitor of all VEGF and PDGF family tyrosine kinases currently in phase 3 clinical trials for treatment of liver cancer. He started his presentation with the introduction of KDR biology and the project rationale, followed by a brief description of kinase background. He then detailed the medicinal chemistry effort that led to the discovery of ABT-869. He also described the transition of ABT-869 from discovery to clinic, with highlight on the formulation and PK/PD relationship. Dr. Michaelides concluded his talk with multiple in-depth thoughts, including: 1) Leave room for empirism: hypotheses are important but are just that beware of reductionist approaches; 2) If you think you have a unique idea you are probably wrong; 3) PD in vivo models can significantly accelerate compound optimization; 4) Multiple chemotypes are critical to success; 4) Poor solubility is not a death sentence for a compound good lipid solubility and low dose can facilitate development; 5) Drug discovery is typically not a linear process. Dr. Michaelides not only clearly presented the story on the discovery of ABT-869 but also elegantly incorporated and explained all important basics of drug discovery, which therefore made his talk very educational as well. The afternoon session was covered by three speakers and moderated by Dr. Lin Zhao, Director for clinical science at Takeda. The first speaker Dr. Alison Handley, director of clinical sciences at Takeda, presented her story entitled “Edarbi and Edarbyclor for the treatment of hypertension”. She started her talk by a brief introduction on the background of hypertension and cardiovascular diseases and then discussed the clinical development of the Edarbi and Edarbyclor. The second speaker in this session Dr. Jean Cui, associate research fellow at Pfizer, described the discovery of Crizotinib, a potent c-Met/ALK dual inhibitor, was fast track approved in 2011 by FDA for late stage lung cancer patients with EML4-ALK fusion gene based on marked efficacy results from Phase I and II studies. The invention of crizotinib starts from a cocrystal structure of c-Met/PHA-665752 complex. The cocrystal structure of PHA-665752, bound to c-MET kinase domain, revealed a novel ATP site environment, which served as the target to guide parallel, multi-attribute drug design. The final speaker Dr. Ekaterina Pestova, a R&D manager at Abbott Molecular, discussed their stories on the development and analytical performance of Vysis ALK FISH probe kit. The Vysis ALK Break Apart FISH Probe Kit is a qualitative test to detect rearrangements involving the ALK gene via fluorescence in situ hybridization (FISH) in formalin-fixed paraffin-embedded (FFPE) non-small cell lung cancer (NSCLC) tissue specimens to aid in identifying those patients eligible for treatment with XALKORI® (crizotinib). The 3rd Annual Chicago Biotech-Pharma International Symposium concluded with very positive feedbacks from attendees. Such great success would not be possible without collaborative effort of the organizing committee members and the generous support from the sponsors. On May 8, 2011, more than 250 scientists and technologists packed the conference room in Renaissance Hotel and Convention Center, Schaumburg to attend the 2nd Annual Chicago Biotech-Pharma International Symposium. A large portion of the attendants came from major pharmaceutical companies including Abbott Laboratories, Takeda, Baxter, DuPont, and Eli Lilly. One third of the participants also came from University of Chicago, Northwestern University, and other academic institutions. 10 Delegates from mainland China also attended this conference. This symposium was co-organized by ACSE and Yao-Yuan. Dr. Gui-Dong Zhu from Abbott was the symposium chair. The symposium has invited world-class scientists and industrial leaders to discuss the frontiers and share their views in biomedical science and global pharmaceutical industry.